Hedrin Once Spray Gel is a liquid gel in an easy spray format. The easy to use trigger helps direct the liquid gel onto the head and hair even in those hard to get areas. 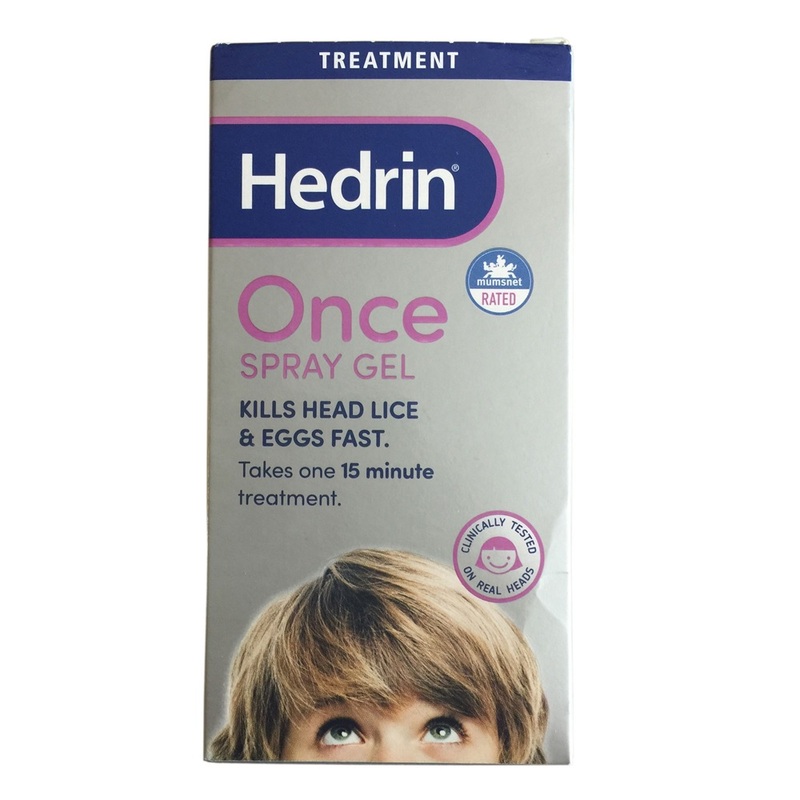 Hedrin Once Spray Gel is highly effective against head lice and eggs. In some cases, head lice have become resistant to many existing treatments which may result in infestations within schools and communities taking longer to eradicate. However, because Hedrin works in a purely physical way, resistance is not a factor and efficacy not diminished.